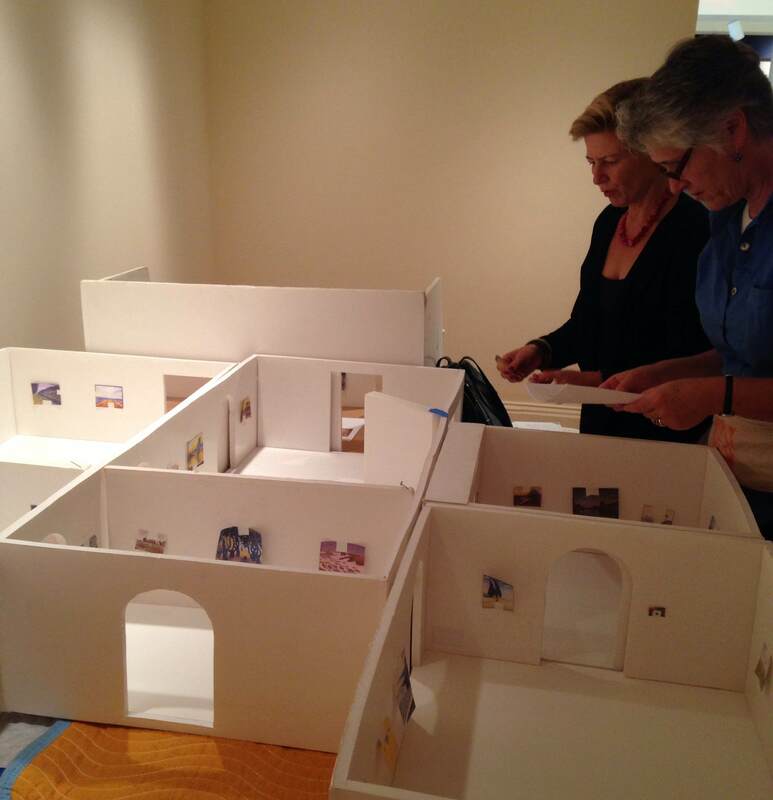 Exhibition Curator Cornelia Homburg and Associate Registrar Trish Waters go over the proposed layout of the exhibition. With less than two weeks before the opening of Neo-Impressionism and the Dream of Realities: Painting, Poetry, Music, the walls have been constructed and freshly painted. Now for the tricky part: finalizing the layout of the exhibition and making sure all of the artworks find their appropriate wall space in the thematic sections. Good thing we have a to-scale 3D model of our 3rd floor to aid us in placement and provide a great foreground for pensive photo-ops of our exhibitions team.